Purpose: This manual will help you install the RichOne Theme and point out specific features. Installing this theme is easy. Do not worry, this theme is a professional, streamlined WordPress theme. Just make sure to read this manual until the end, as these instructions will save you a lot of time. Note that it is out of the scope of this manual to explain WordPress basics. 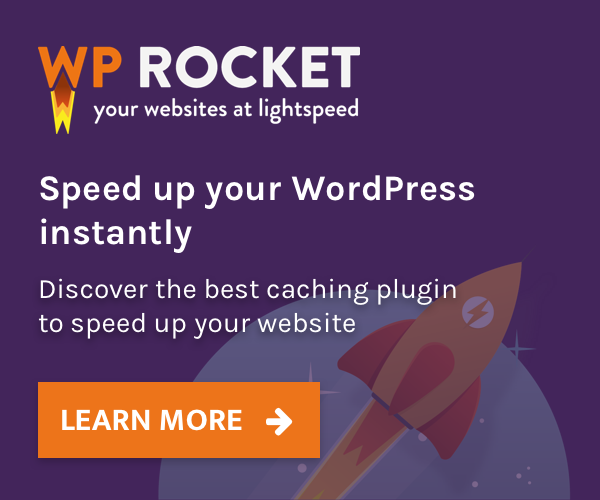 For all general WordPress questions, please consult the official codex. 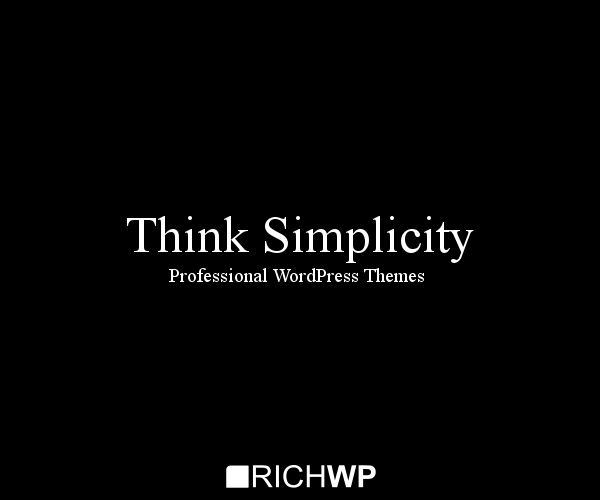 Upload the richone.zip file via the theme upload function Themes » Install Themes » Upload in your WordPress Administration (wp-admin) and activate the theme. Click “Browse” and select the richone-theme-demo-content.xml file. Do not upload the .zip file. Unpack it first as explained in step 2. Click Submit and you are done. Set up your Logo or Page Title under Appearance » Customize » Site Identity. To set up an image logo, we recommend using a resized .png or an .svg file with a transparent background. Be sure to test your logo on smart phones and tablets, as well. All color options for this theme can be found under Appearance » Customize » Colors. You can make this theme your own by exploring these color options and choosing a unique color scheme for your theme. To change colors that are not affected by the Customizer Color Settings, edit them directly in the style.css file of your theme or overwrite them with a Custom CSS box or with a Child Theme. 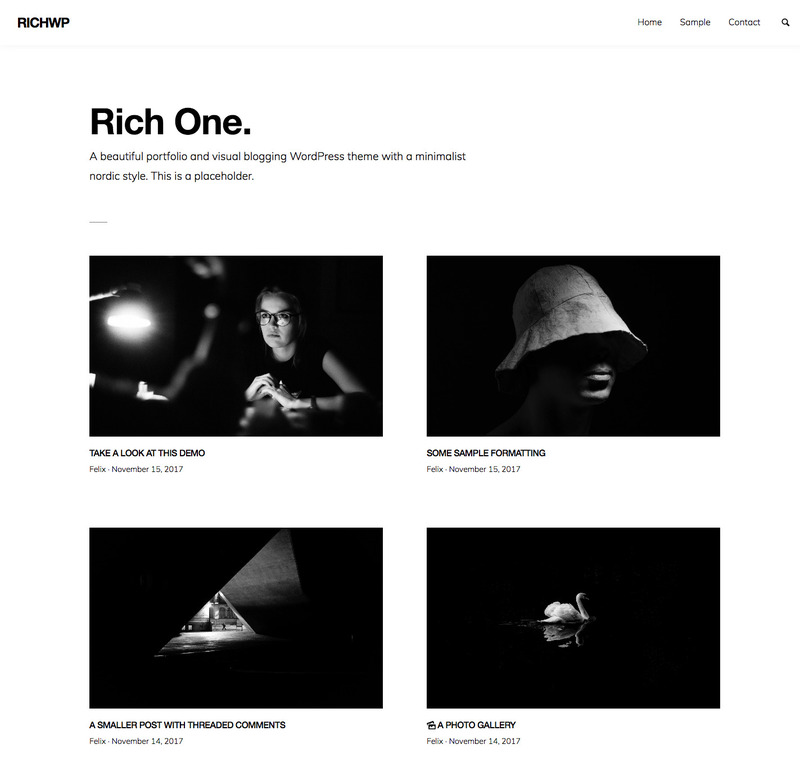 The RichOne Theme comes with a variety of page templates that you can apply to your pages (not posts). The purpose of these page templates is to provide alternative layout options if you want to set up a static front page or simply focus your visitors’ attention directly on the page content. These templates can be useful for shop function pages like cart or checkout, where you don’t want to distract visitors from finishing a sale. The RichOne Theme natively creates all the relevant image sizes for your site. However, you might want to create thumbnails for your galleries or larger product images for your shop. 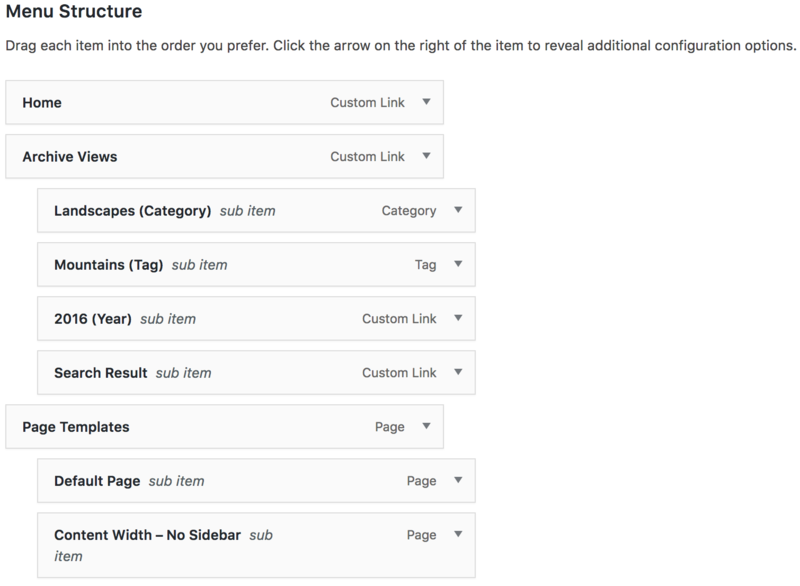 You can set them up under Settings » Media in your WordPress Administration. For reference you find uncompressed versions of the CSS and JS code under in the theme folder under /assets/uncompressed. You can use Google and other external fonts with the RichOne Theme. For performance reasons, we did not include a list with hundred of fonts plus the other necessary option settings directly into the theme itself. The easiest way is to use external fonts is to install a plugin like this one WP-Google-Fonts, FontMeister or Fonto. There are more plugins providing this functionality out there, so feel free to try some and use the one that best fits your purpose.